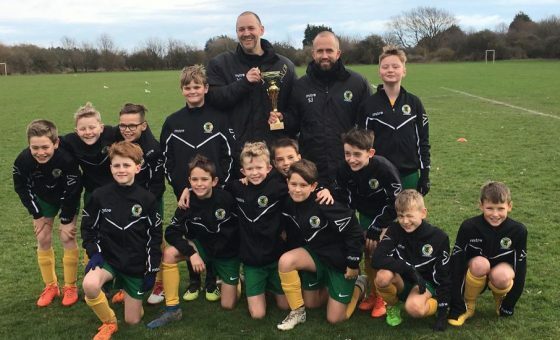 Hornets’ U11s had a great start to the Presidents Cup campaign with an away win over Rustington Otters. The Winter Cup was presented in advance of the game, giving the whole team, and spectators, a great boost ahead of the match. Twenty minutes of the first half produced no goals. Both teams were working hard to carve an opening. Dan B on-target fierce shot was well saved with Jack McM and Alfie R both having opportunities to put the ball in the net. At the opposite end, Zac R made three solid saves to prevent any serious attack from Otters. 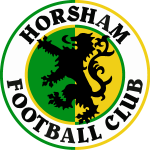 The opening goal, on twenty-two minutes, fell to the returning Charlie L. Horsham had won three corners in three successive attacks. The final corner was crossed deep in to the box which was defended as far as Charlie, standing on the edge of the box. His curving rightward shot flew through the crowded penalty area and in to the back of the net. On balance the result seemed worthy, with the majority of the play being in the opposition’s half. Rustington continued to press but the back three of Will K, Harrison J and Ryan A were in exceptional form. The Otters were passing well but nothing was getting past Horsham’s equivalent of the three musketeers. Liam B, Dylan H and Harry L joined for the second half and the pivotal moment in the game came close to the restart. 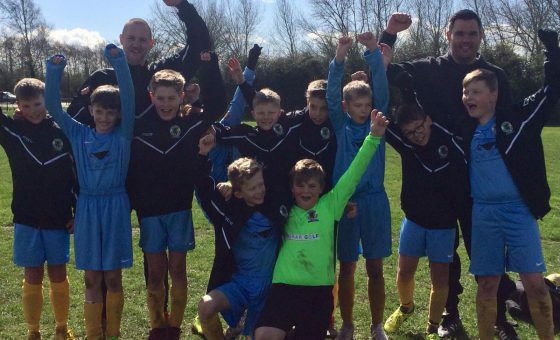 A top class save from Zac R prevented an equaliser for Otters, when a goal looked more likely. In the only opportunity Rustington had to open up the Horsham defence, Zac was there to make the kind of save that inspires confidence in the whole team. Zac’s positioning forced the attacker to the right and the shot was saved from Zac’s outstretched dive to his left, pushing the ball to safety. 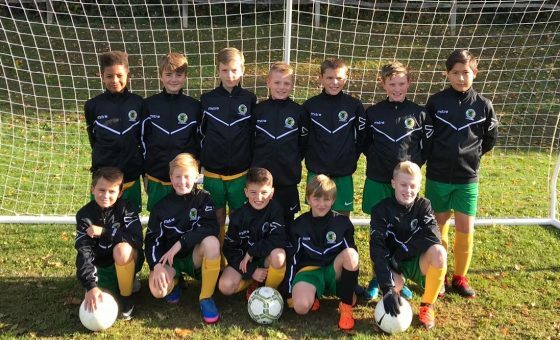 An in-form Harry L scored Horsham’s second goal, on forty-five minutes, running centrally from a Liam B through ball assist. It looked on the cards that Harry would score after coming close in at least two other attempts. The second goal allowed Horsham to settle and control the game and continue to attack with possession. The third goal resulted from one of those attacks and scored by Jack Y with two minutes to go. Dan B attacked and contained the two central defenders but the ball was defended only as far as Jack Y. With the keeper off his line, Jack Y hit a long and looping shot from outside the box that cleared the keeper and dropped in to the back of the net. Dan B could have made it four with a close range effort, but to Rustington’s credit they never gave up.